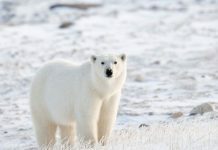 Polar bear (Ursus mritimus) is a threatened species and in the next few decades it is likely to be enlisted on the endangered species of the IUCN. This is what scientists predict about ice bears’ future who once thought to rule the arctic habitat in thousands or even millions. The prime responsibility lies on the humans for several arctic mammals let alone polar bears have suffered badly in the last couple of centuries. Each year 50 – 60 polar bears are hunted—not only for their hides and fur but also the fact that local people’s survival is associated with the polar bear’s death. They consume bear’s meat and sell into the village market. 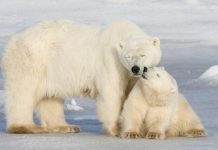 Let’s see how can we help save polar bears from dying out. Something needs to be done on priority basis before it’s too late. 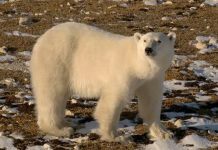 It’s a now-or-never situation for all of us and it can go worse if the global climate continues to threaten the polar bear’s habitat. There are so many things that we can do to prevent polar bears becoming another endangered species. However insignificant it might appear the truth is that every single human hand can actually save polar bears and it doesn’t matter if your habitat is miles away from polar bear’s habitat. The latter is going to benefit from your contribution. 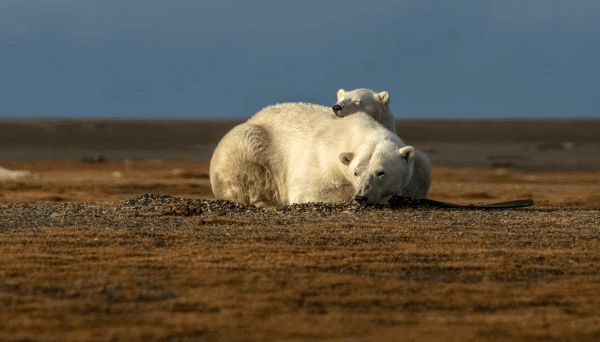 While it may seem unlikely that polar bears are going to be extinct in the next 5 or 10 years the overall population decline, global warming, and hunting on a massive scale are already showing signs of endangerment. The best possible measure to counter global warming or climate change is that we better start using zero carbon technology in vehicles. This can reduce the earth’s global temperature as well as diminishing the likelihood of greenhouse gases that may destroy ozone layer in the atmosphere. 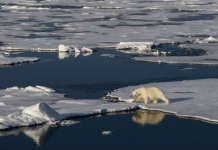 A decrease in global temperature leads to a decrease in pace at which the arctic’s sea ice is melting. As it turns out the polar bear’s habitat remains safe. Read More: Are Polar Bears Endangered? Not only authorities but it is also the responsibility of common people to make environment green by planting more and more trees. Trees absorb carbon dioxide CO2 which is the chief agent (gas) for increasing global warming. Aforestations thus reduce the concentration of man-made greenhouse gases in the atmosphere. The greener is the environment the safer is the polar bear’s habitat. Goes without saying that human hunting must be stopped immediately in order to keep polar bears safe. 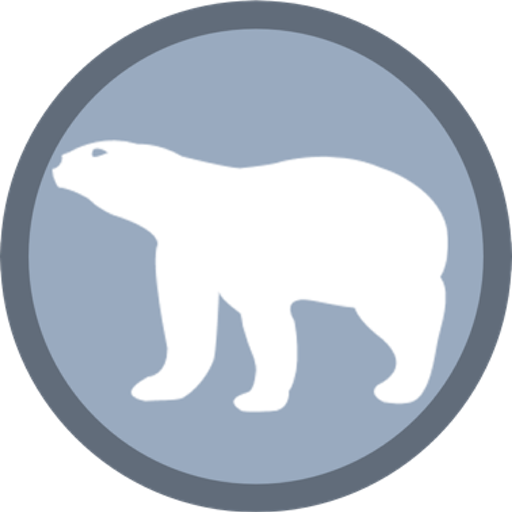 Ice bears are probably one of the most hunted arctic mammals in Canada and Greenland. Authorities have allowed natives to hunt polar bears but only to a certain extent—to a point where the bear’s population doesn’t become redundant. Nevertheless, there is always a chance that other people such as professional hunters may exploit this permission. One must adopt stringent policies in countries (such as Russia, Canada, and Greenland) where people are permitted to hunt polar bears legally. Why Do We Need to Save the Polar Bears? The arctic ecosystem is going to be disturbed if we lose a single species let alone polar bears. It can have adverse effects on other species including those that regularly fall prey to the ice bears. What would Happen if there were no Polar Bears? The seals are the primary prey for all polar bears. Scientists estimate that the entire polar bear population eats as much as one million seals a year. That’s too much! Now think of a second should polar bears disappear today the seal’s population would grow to unmanageable proportions. The seals have already very few predators in the arctic. However it doesn’t end here. The overpopulation of seals means that they will require more salmons than before. The salmon population is going to be redundant.